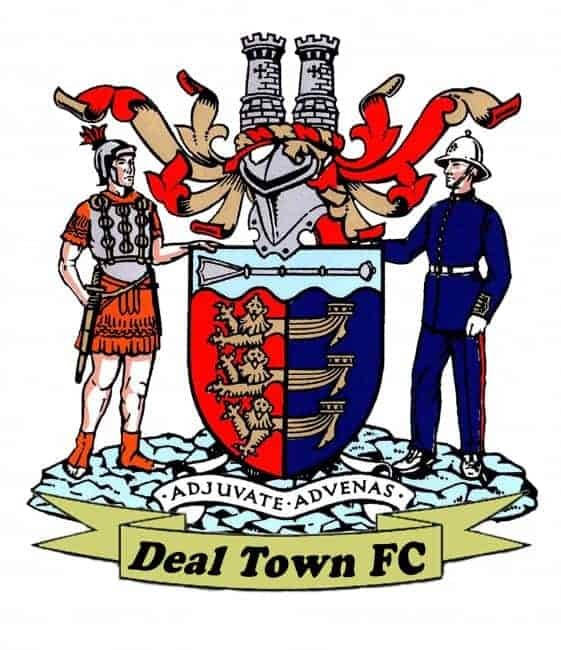 Deal reinforced their position as the SCEL Premier Division’s “draw specialists” with their eighth one-point return of the season, the highest number of any club in the league’s two divisions. And although they were only denied victory by an injury-time equaliser, the Hoops were happy on this occasion to settle for a point from a game in which they faded after a bright start. Fielding a patched up side because of their extensive injury list, Deal looked poised to end their run of six matches without a win after building an early two-goal lead. Ben Chapman provided the first after the Punjab defence failed to clear Dave Pilcher’s ninth-minute free-kick, and then 13 minutes later Pilcher’s precise pass set up Harry Alexander for his second goal of the campaign. But just beforehand Laurent Hamici had almost opened the Gravesend club’s account and that was to set the pattern for the rest of the contest with Hamici and his strike partner, George Goodwin, regularly causing problems for the Hoops defence. It needed a terrific reaction save from James Tonkin to keep out Goodwin’s fierce low volley on the half hour mark and then Hamici saw his 32nd-minute effort strike the underside of the crossbar as Deal managed to cling on to their two-goal advantage until half-time. Punjab, however, had already done enough to suggest that the Hoops would need a third goal to make the game safe but, apart from an early Charlie Walsh header that flew narrowly wide, Deal created little of note after the break. They spent most of the half trying to preserve their lead and, with man-of-the-match Tonkin regularly frustrating Hamici and Co, it looked like they would be successful even after Enzo Kartita did eventually beat the young Hoops ‘keeper with his 69th-minute volley. But two minutes into added time Deal’s current vulnerability at set pieces was highlighted again as Goodwin headed home Anthony Adesite’s corner, with Hoops head coach Steve King admitting afterwards: “Their equaliser was the seventh goal we have conceded from set pieces in the last seven matches and we are clearly missing (the injured) Kane Smith massively. Deal: Tonkin, Chapman, Alexander, Maughan, Bigginton, Brayne, J Munday (Rodgers 76), A Miller (C Miller 88), Wilson, Pilcher (B Munday 66), Walsh.